With the Kentucky Derby this weekend I’ve been seeing recipes for Mint Juleps all over the Internet. I had to see what all the buzz was about. This drink is definitely out of my comfort zone. I typically don’t like bourbon / whiskey and I don’t watch the derby. 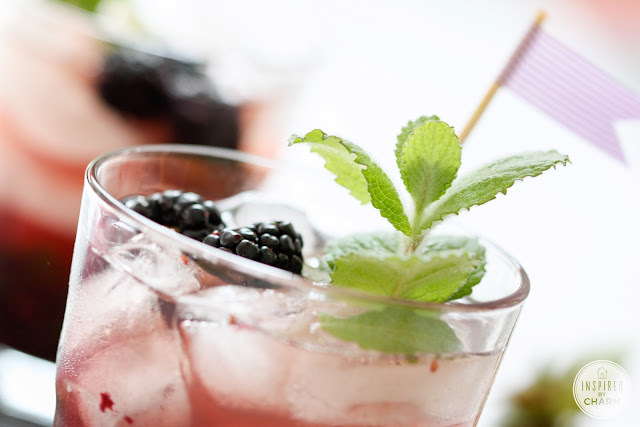 Nonetheless, today I’m making Blackberry Mint Juleps. You know me – I couldn’t make just a standard mint julep. 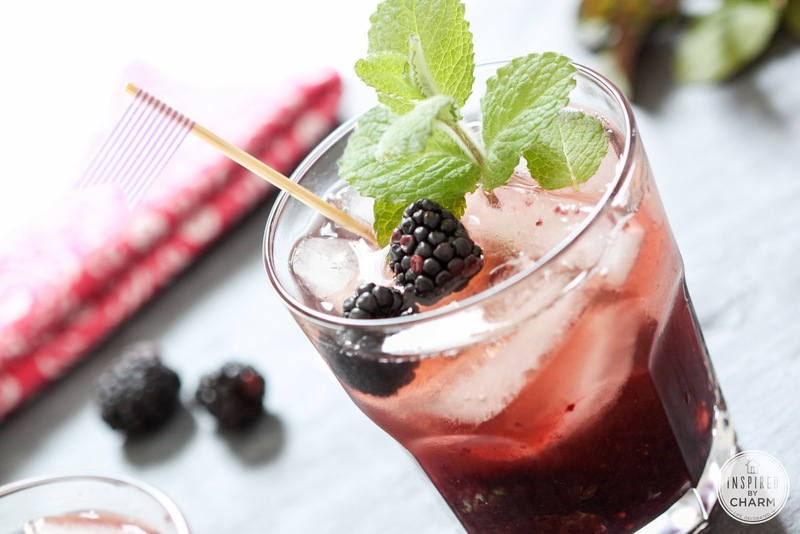 I decided to give this classic drink a little IBC twist with the addition of fresh blackberries and blackberry whiskey. All I did was puree some blackberries in the blender and add them to the traditional recipe. I will say the combination is delicious. And, I actually kind of like the whiskey! Who would have thought? And as much as I love these little wash tape flag drink stirrers, you really need one of these DIY Gold Horse Drink Stirrers! Let’s mix up a few! 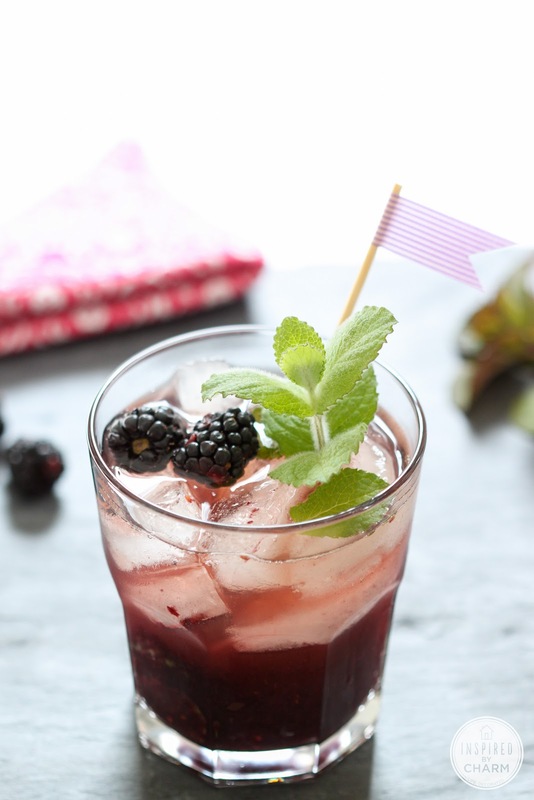 In the bottom of your glass, muddle / crush together mint leaves, simple syrup, and blackberry puree. Fill glass with ice cubes, then pour in bourbon / whiskey and water. Stir. 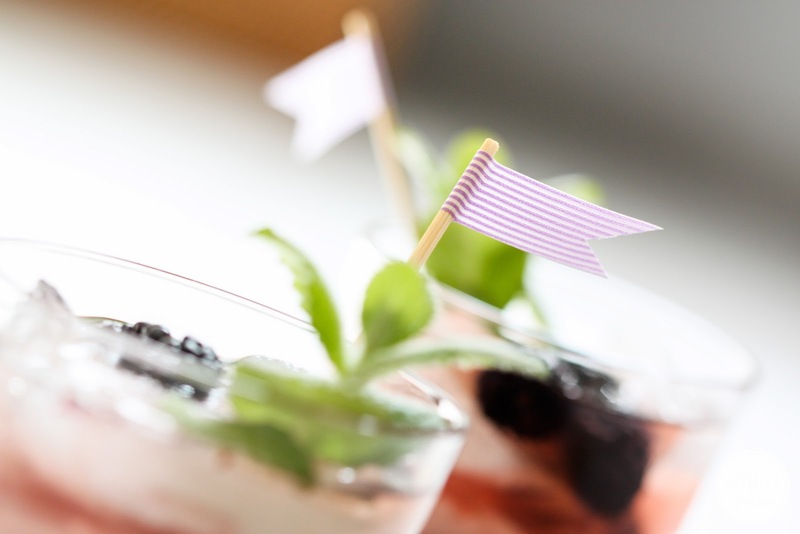 Garnish with a few blackberries and a sprig of mint, and a super cute stir stick***. *Put a handful of fresh blackberries into a blender. Puree the blackberries until smooth. **Bring 1/2 cup sugar and 1 cup water to a simmer over medium-high heat until sugar is completely dissolved. I usually let the mixture simmer for about 10 minutes to create a thicker syrup. Allow syrup to cool completely. ***I just added a piece of washi tape, sticky sides together, and made a v-cut in the end. 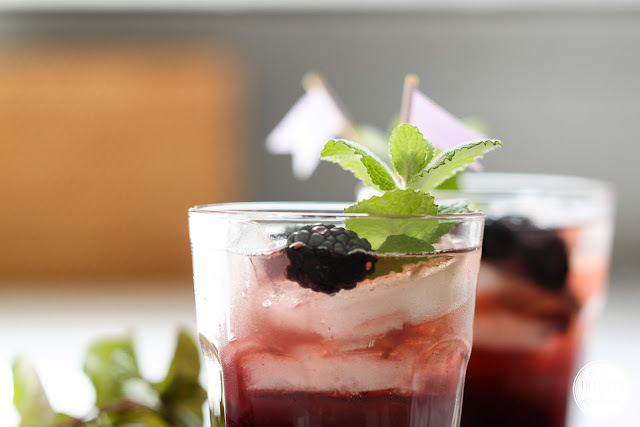 Black Eyed Susan Cocktail – another derby-inspired drink! 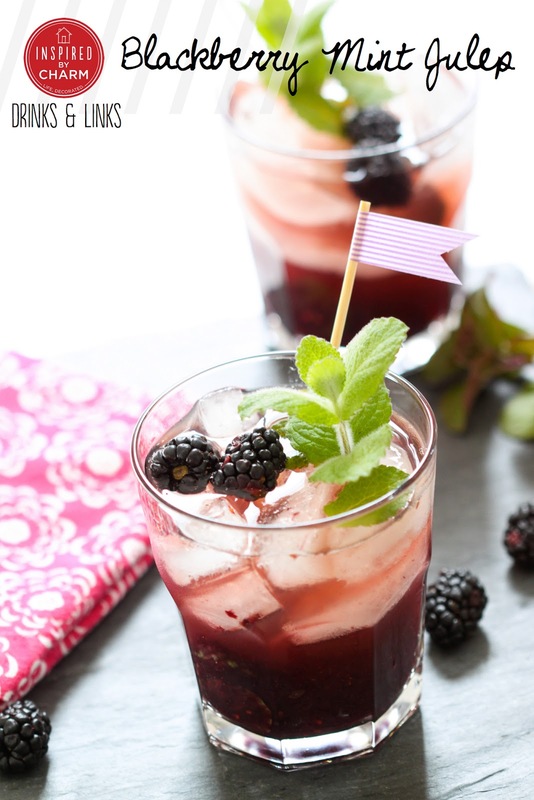 Cheers to the derby and this Blackberry Mint Julep! Cheers friends! Have an awesome weekend! this drink sounds fabulous! gonna have to try it out for Derby tomorrow!!! Yes! Sounds like a plan. What time? I’ll be there. Oh HEAVENS I love you!!! BFF forever. And this drink? Want. Now. Thank you for your sweet support! Holla! Always. Though, I can’t preorder my book because I need an autograph! We need to get on another project together STAT! Another great Friday after work drink! You had me at blackberry! I am giddy right now, because I just heard you will be at Haven! Can’t wait to meet you in real life. 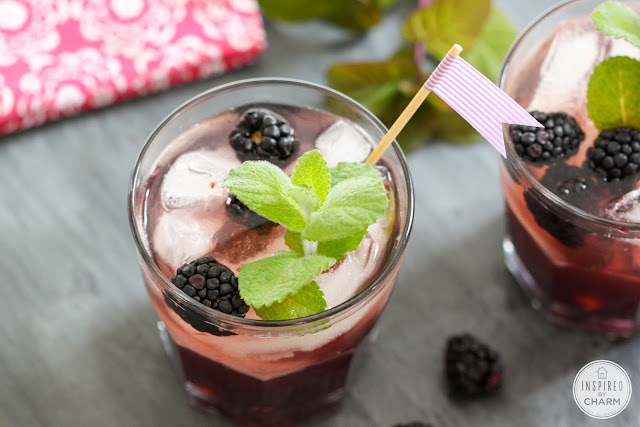 I don’t like whiskey either, but blackberries are my favorite so I had to click this link… and *THAT* looks delicious! I’m not much of a viewer of sports, BUT I do watch the Triple Crown, since it goes so quickly. This drink sounds yummy, thanks so much!